Caffeinated teas offer a number of significant health benefits, but it is important to prepare them correctly in order to maximize their health-protective properties. Caffeinated teas may help to prevent cancer, Alzheimer’s disease, Parkinson’s disease and osteoporosis, as well as boosting the immune system and aiding in weight loss. Tea can even help prevent cavities from forming in teeth. However, preparation is the key to achieving these potential benefits. All caffeinated teas (black, red, green, and white) contain the same antioxidants (polyphenols), and all should be prepared using the same methods. Naturally decaffeinated versions of these teas retain their antioxidants. To achieve the greatest health benefits, drink tea brewed from loose leaves or teabags. The longer the tea is steeped, the more antioxidants it will provide (though caffeine content will also rise with steeping time). Tea should be allowed to steep for at least 3-5 minutes so that the majority of its antioxidants will be released. Iced teas made from brewed tea leaves are as high in antioxidants as hot teas. Iced teas should be kept in sealed containers and refrigerated. Powdered teas are not as high in antioxidants and thus will not offer the same health benefits. Most bottled teas consist predominantly of sugar and water and are not a good source of antioxidants. There are also tea extracts and supplements available, but insufficient research has been conducted on these, and to date there is no strong evidence for their effectiveness. While future research studies may support their efficacy, for the time being it is better to choose brewed tea, which has proven health benefits. Should You Add Milk to Tea? As for whether the health benefits of tea are negated by adding milk, research results are mixed and there is no definitive answer yet. In the meantime, those who are concerned about diminished benefits could forgo the milk or substitute soy milk, which is plant-based and does not bind to polyphenols. 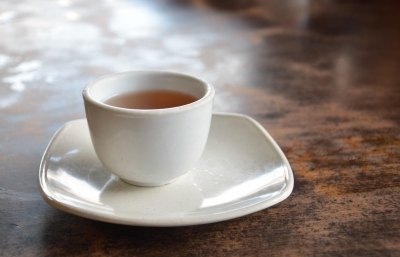 Concerns have been raised as to whether the flavonoids in tea interfere with iron absorption. Although they do reduce the absorption of plant-source (but not meat-source) iron, this effect can be mitigated to some degree by adding lemon because Vitamin C helps with iron absorption. Herbal teas don’t offer the same benefits as black, red, green, and white caffeinated teas, but they can provide a number of other health benefits. For more food and drink articles, see the main Food and Nutrition page. Bock, Cynthia, MS, RD. (March 30, 3000). “Studies Suggest Health Benefits of Tea.” HealthLink, Medical College of Wisconsin. CBS News. (April 21, 2003). “Study: Tea Boosts Immune System.” The Associated Press. Kendall, Pt, PhD, RD. (June 21, 2000; updated November 27, 2007).”Finding Health Benefits in Tea Leaves.” Colorado State University Cooperative Extension. Leenen, R.; Roodenburg, A.J.C. ; Tijburg, L.B.M. ; & Wiseman, S.A. (2000) “A Single Dose of Tea with or without Milk Increases Plasma Antioxidant Activity in Humans.” European Journal of Clinical Nutrition, 54, 87-92. The Canadian Press. (October 15, 2007). “Tea May Help Lower Alzheimer’s, Parkinson’s Risks.” CTV.ca.